Let us know your motivation, we will strategize a plan for you! Our job is to strategize a best marketing plan for you – one that meets your wants and needs. Exploration of all the relevant issues, motivation of your marketing, demands and constraints, people and technology involved help in coming up with a marketing strategy, because digital marketing with appropriate strategy can make an impact. Know what works for your business and employ the best! Identifying best digital marketing methods involves a clever tradeoff among the three major factor that determines the effectiveness of your marketing efforts, they are your target audience, value propositions and marketing channels. Choosing the right audience to target for digital marketing is essential before coming up with any marcom solutions. Identifying prime values to offer has an effect in your digital marketing efforts and help in improve your marketing strategy further. Not all marketing communications and channels need to be employed for your brand. One that best suits can yield great results. Determine the perfect marketing budget for your business! Do you know what your budget is? Marketing math needs careful consideration of cost elements involved like developing and managing a website, launching campaigns in social media and targeting relevant customers by online advertising, etc. to arrive at a sensible digital marketing budget for your business. Build your brand in a measured and effective manner that spends your money wisely. Digital marketing may seem risky and expensive for emerging brands, once the brand is established and investments can go down. Performing return on marketing investment review helps in evaluating profit attributable to marketing, by analysing current traffic, conversion rate and average sales. Data pertaining to current traffic like page visits, clicks and potential customer base add value to reviewing ROMI. 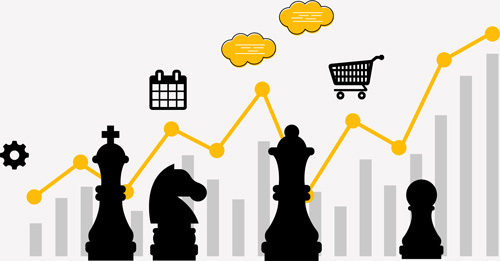 Rate of converting site visitors to paying customers is taken into account while performing marketing investment review. Knowing the average sales attributable to marketing efforts help in evaluating the effectiveness of your marketing investment. Digital marketing strategy is not a one-size fits all solution! With the gathered insights on your needs, marketing communications to employ and cost estimation, it is now befitting to recommend an effective solution that is tailored to your brand and business that is more likely to drive you favorable results.